Penrith Valley Heritage Drive is a series of 27 stops along a historic route. 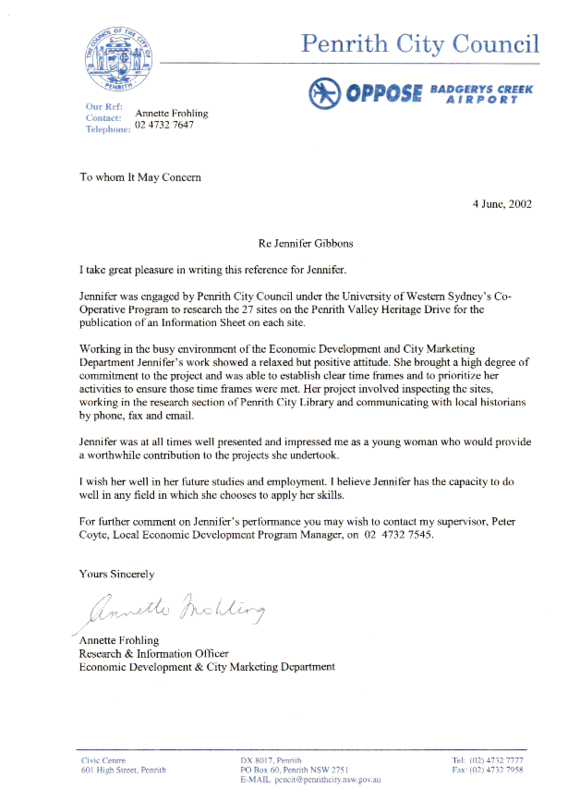 Penrith City Council needed a writer to edit, fact check and fill out the details for each fact sheet. This involved on-site and historical research. They chose Jennifer (nee Gibbons) due to her competency producing a OHS training guide for the University's Summer Research Awards. 2002. 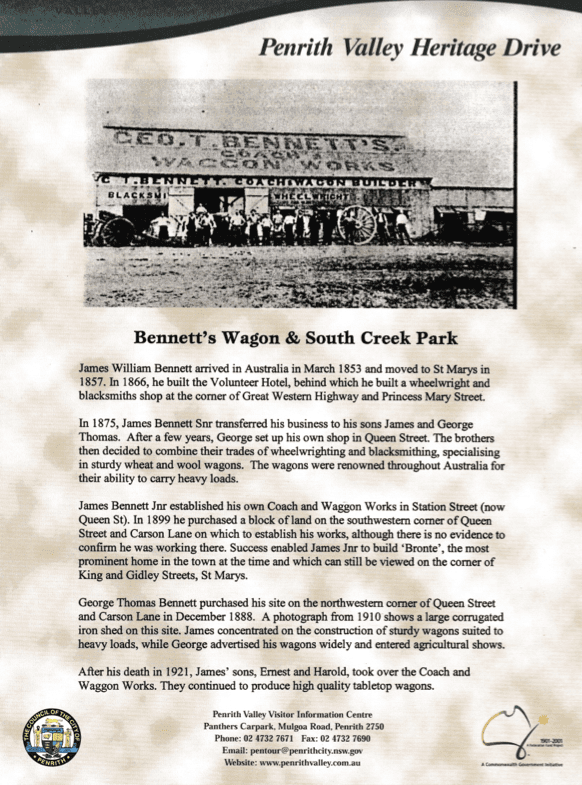 Download Penrith Heritage Drive_Bennetts.